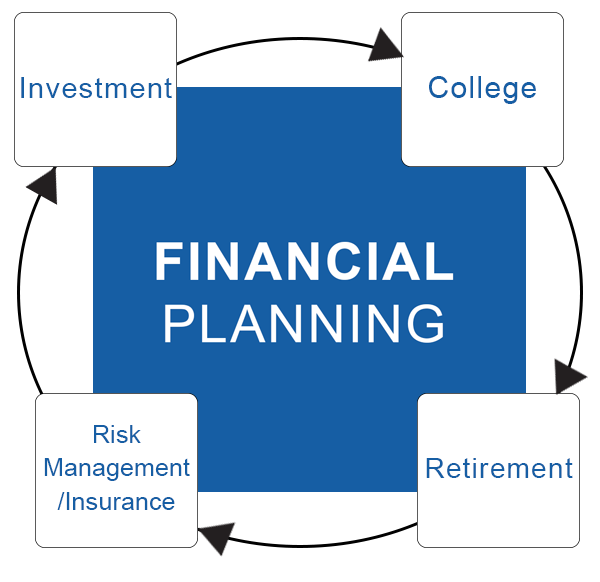 Financial Planning- Let's get together and get organized in developing a roadmap of where you want to go financially. Goal-focused long-term planning is the core of what we do. We begin by listening and understanding the vision from individuals, families and small businesses. We work in collaborative planning with tax advisors and estate planning attorneys with investment management that reflect long term goals but meet the short term realities of cash flow and budgeting. We help connect the dots of financial realities to the lives our clients long to live. Investment Planning- Our approach is to develop and build confidence and balance between achieving goals and managing risk. With our client's goals and time horizons, we design investment portfolios to consider cash flow needs and manage risk. Our risk profiles help determine a comfort level in investing while providing portfolio expectations to meet client goals. We monitor and rebalance portfolios when necessary to see if the client is on track to focus on their life's goals. Retirement and Income Planning- We customize retirement planning strategies that provide tax-efficiency and risk management to maintain lifestyles for 20 to 30 years. A proactive retirement plan has to be holistic and well-designed to maintain through market volatility and uncertain financial markets so your money will outlive you and you not outlive your money. College Planning- Our goal is to eliminate student loan debt one student at a time. Our unique Pre-Approval Approach to college funding helps families make better choices to the right schools and with smart loan strategies. Our philosophy is to “know before you go” the anticipated amount of debt BEFORE your child attends college. We help families determine the balance of college funding and retirement planning. Asset Protection/Risk Management- Protecting one's assets from unexpected life events is a crucial step in financial planning. One unexpected event can have a devastating effect on a family's finances. Having adequate asset protection ensures that one's family can maintain a lifestyle, provide a college education, ensure retirement income, and protect assets from unexpected critical and terminal care issues. As an independent CFP® professional, we can provide you with objective, unbiased strategies to meet your asset protection needs from any of the largest and highly rated insurance companies in the country.